Sunday September 2, 2018 - National Super Alliance (NASA) leader, Raila Odinga, yesterday broke his silence about the Orange Democratic Movement (ODM) Party leaders’ latest actions in the war against corruption. Speaking during the homecoming ceremony of Siaya Governor, Cornel Rasanga, in Alego, Raila expressed concern over the latest move by his top lawyers, among them Senator James Orengo, to defend Deputy Chief Justice Philomena Mwilu and other corrupt Kenyans saying they were letting him down. He cautioned Orengo and other NASA leaders against rushing to defend those arrested in the recent corruption purge warning that some of his friends could soon be nabbed. “So do not be in a hurry to defend those under investigation, let the courts do their job,” cautioned Raila Odinga. 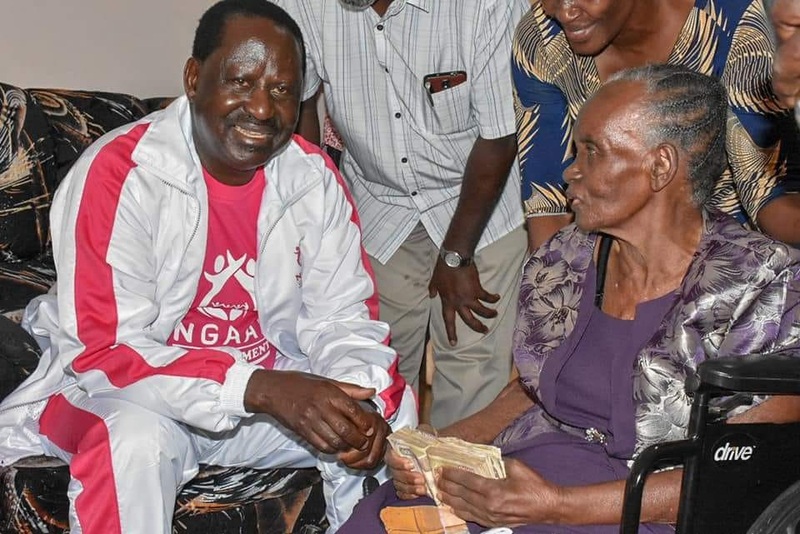 At the same time, he maintained that the recent arrests were part of the Building Bridges Initiative between him and President Uhuru Kenyatta affirming that it has no personal attacks. “You should not be afraid, we are not on a witch-hunt and no one will be unfairly targeted," he said.